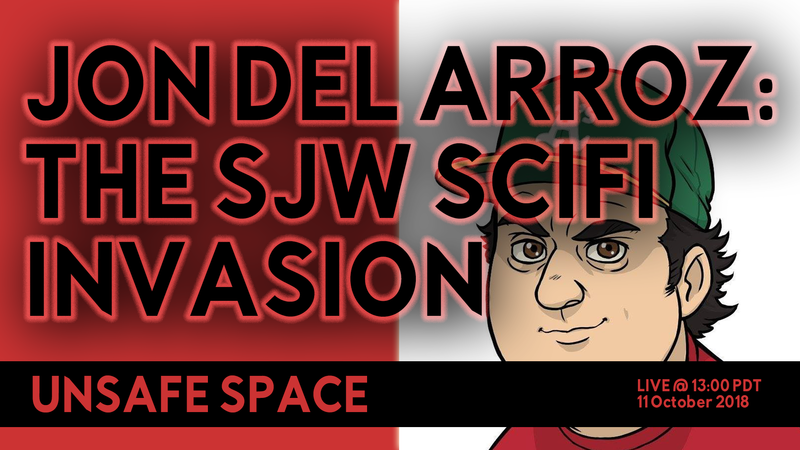 On 1PM PDT on Thursday, October 11th, Unsafe Space chatted with Jon Del Arroz, the leading Hispanic voice in science fiction. He’s the author of the #1 Bestselling Young Adult Steampunk series: The Adventures of Baron Von Monocle, and is currently adapting Richard Fox’s bestselling military science fiction novel The Ember War into graphic novel form. We’ll discuss #comicsgate and the invasion by social justice activists into both the science fiction and graphic novel industries.